As a Cooperating Technical Partner for FEMA’s National Flood Insurance Program, DOGAMI has provided revised flood mapping for FEMA’s Flood Insurance Rate Maps (see below) by using newer, more accurate topography data (lidar-derived digital elevation models). In addition to redilineating Zone AE’s (detailed flood determinations), DOGAMI has revised Zone A’s (approximate flood determinations) for many of Oregon’s coastal counties. 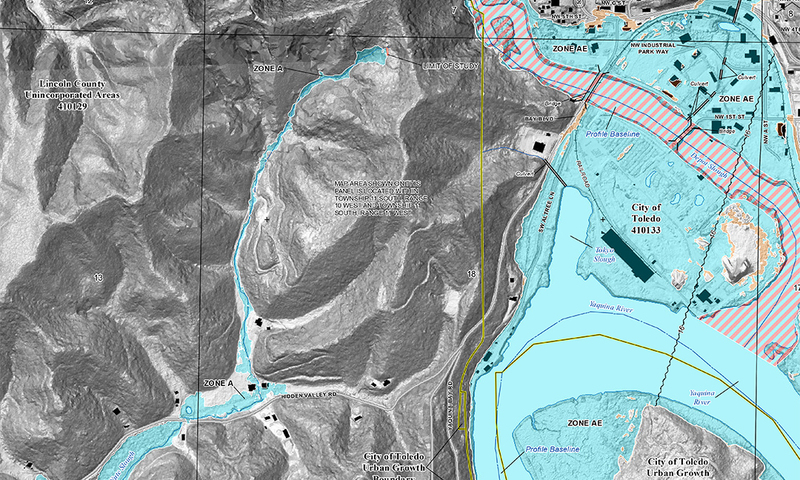 Zone A modeling is accomplished using the ArcGIS extension HECGeoRAS and the stand alone application HECRAS (both developed by the Army Corps of Engineers). 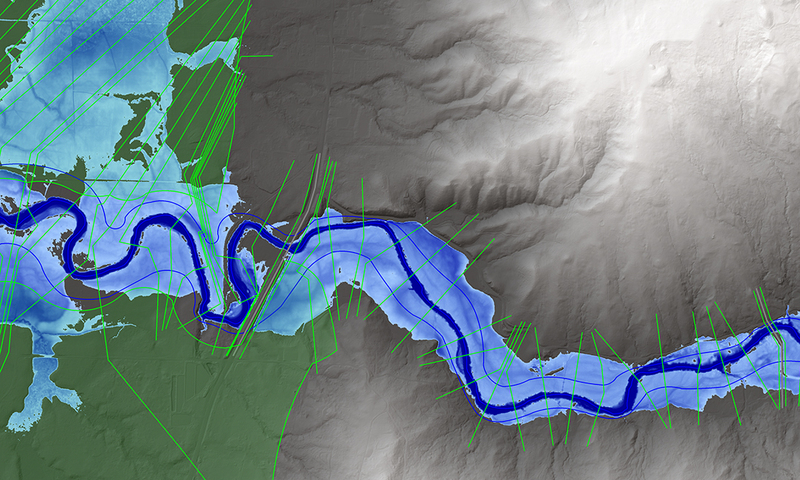 These methods involve several steps of hydrologic inputs and hydraulic data creation and modeling iterations. Detail view of a Flood Insurance Rate Map.